Sculpture group “Venus and Mars” with portrait heads of Marcus Aurelius and Faustina Minor. 147—149 CE, after Greek models “Ares Borghese” (5th cent. BCE) and “Aphrodite, type Capua”, 4th cent. BCE. Isola Sacra. Donation of Benedictus XIV, 1750. 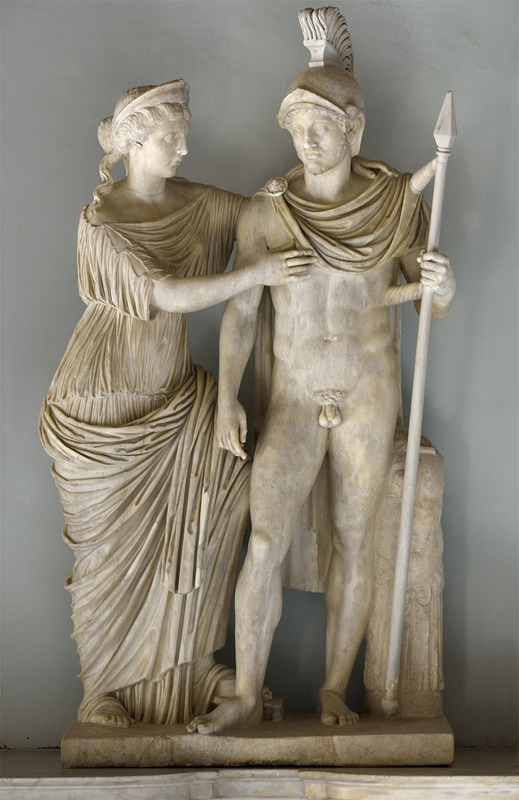 For the basic statuar types see: Ares Borghese and Aphrodite, type Capua.